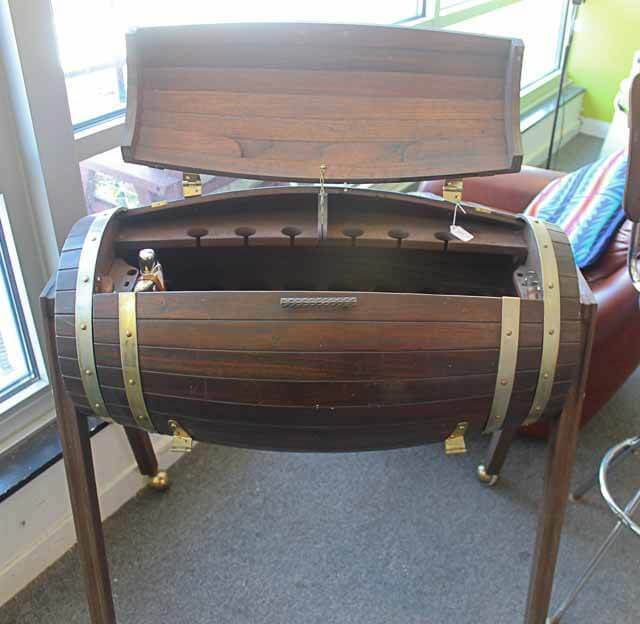 Home » Other Rooms » tiki and bars » Portable mid century bar in a barrel — so cute! 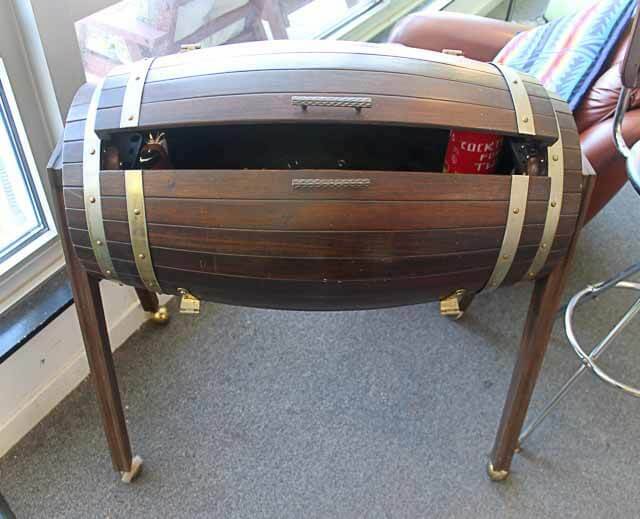 Just some happy this morning: A vintage mid century portable rolling bar — that looks like a barrel when it’s closed! Spotted at Retro Genie’s in Northampton (one of my all-time favorite vintage stores!) a while ago. And here we go — time for a Mai Tai! Adorable! 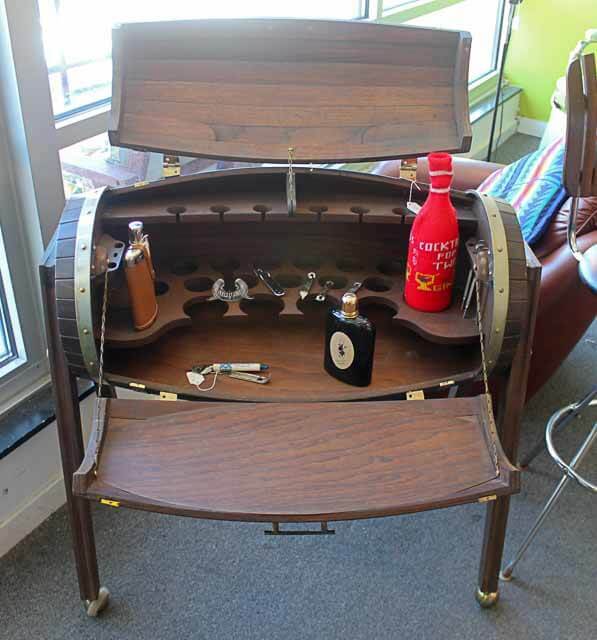 Great mid century portable bar for a small space — and as a conversation starter, to be sure! Repeating the link love: Retro Genie’s Vintage Clothing and Accessories, Northampton, Mass. 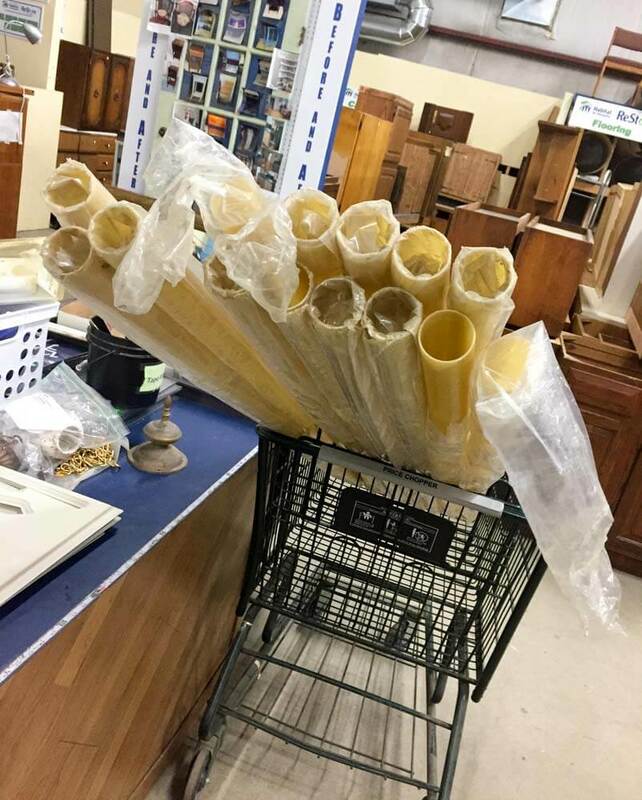 Fiberglass tubing — $14 for 14 tubes worth more than $3,000! What will I do with these pretties? Just imagine when you roll this bar out. You & your guests will have a barrel of FUN!!! That’s fun. Do you know who made it? A manufacturer, or was it an inspired person’s one-off creation? 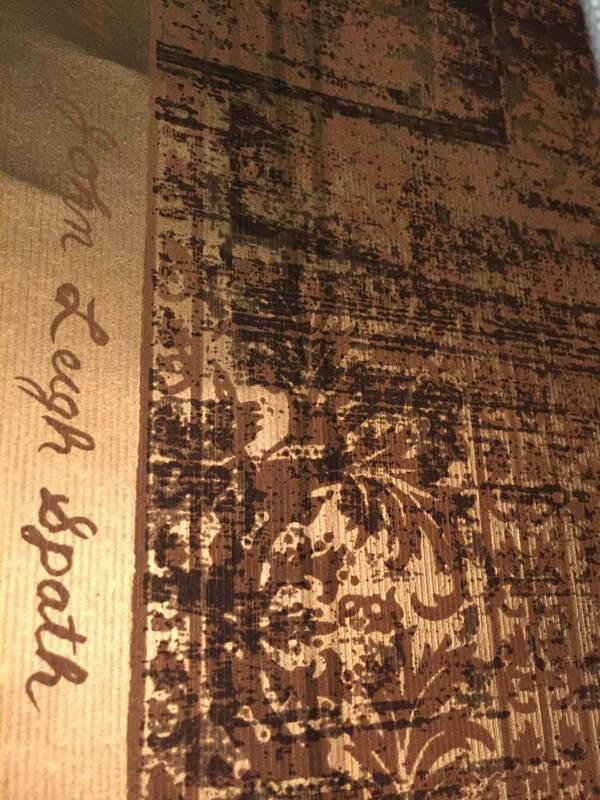 I don’t recall seeing a label on it. Usually if I do I photograph it. Wow, this is super cute! 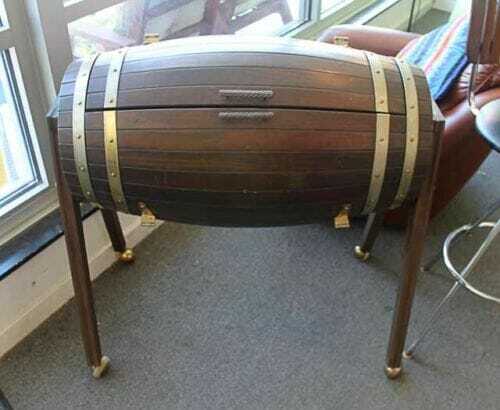 It looks like it could work well with both a Tiki or Western themed room too. 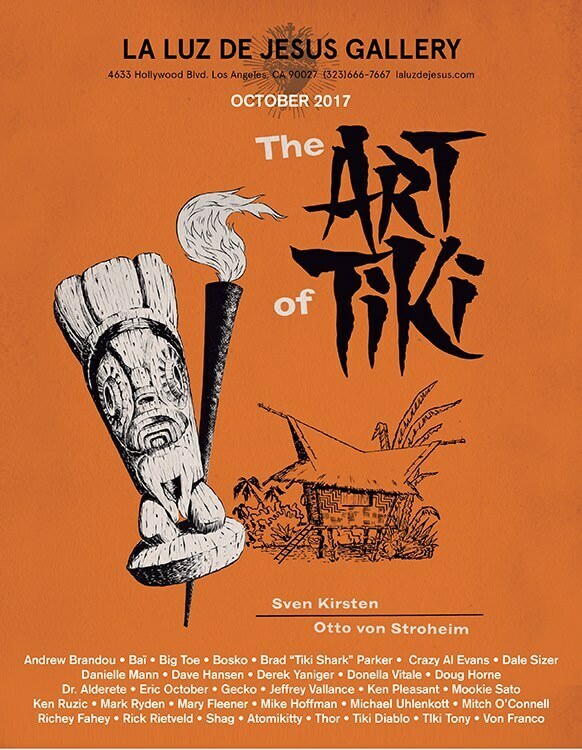 This has nothing to do with the Barrel, but enjoying my Sunday morning visit on your site, I thought: Did you ever finish your Tiki lounge? and were there pictures of the finished result.? I was following the transformation, but do not remember seeing it in all it’s finished glory. I am kinda sorta but not really finished.